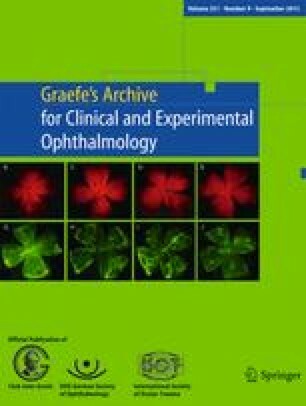 The aim of the presented experimental work was to develop a technique for congruent trephination of donor and recipient corneas in free form using a 193-nm excimer laser and to study the clinical follow-up after the application of the technique in a rabbit model. In 12 New Zealand White rabbits homologous penetrating keratoplasty was performed. Trephination of donor buttons and recipient beds was achieved in six animals by conventional mechanical trephination and in six by excimer laser trephination with a guided laser beam in a non-circular geometry. The surgical procedure and its applicability to human subjects were evaluated and the postoperative clinical course was followed for 6 months. The surgical procedure of full-thickness excimer laser trephination could be performed reproducibly in the animal model both for dissection of the donor buttons and for preparation of the recipient beds. Keratoplasty was performed with kidney-shaped transplants after trephination in free form with the guided laser beam. Postoperative clinical follow-up did not show any differences between the two trephination groups that could be related to the applied trephination technique. After 6 months we observed well-adapted and clear corneal grafts, kidney-shaped in the excimer trephination group and circular in the mechanical trephination group. No side effects on the crystalline lens and the central retina could be clinically observed following excimer laser trephination. We present the first experimental study of keratoplasty with freely selected transplant geometry and perfect congruence of donor button and recipient bed. The application of this technique in certain corneal disorders in humans will offer improved treatment options in the future. This research was supported in part by a grant from Deutsche Forschungsgemeinschaft (DFG III P3-3772-034-085).